You can use your FTP server as a source for your CSV, XML, XLS or JSON files. Click on the "Connect" button and you can browse the chosen file in the FTP account. Set your file "Settings". Don't forget to click on the "Done" button and that's it, you are done adding the source. Now, you can proceed to the next step. In the case of FTP source, Syncee saves the path of the file you selected and next time it will automatically use it. 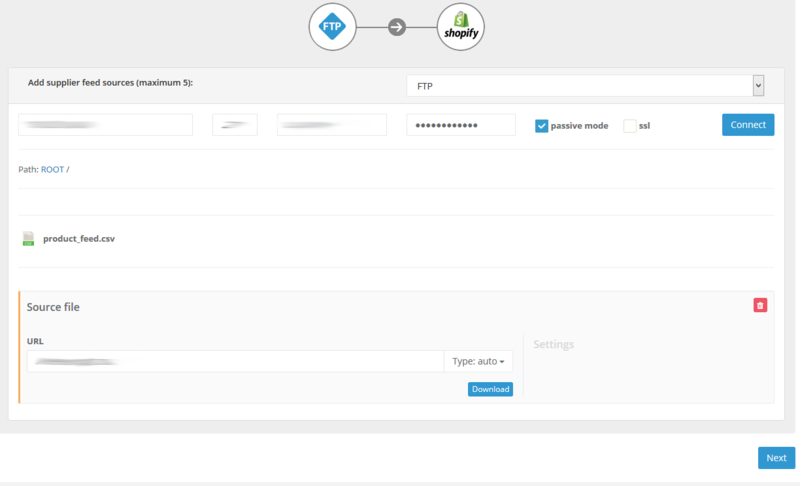 If you can't log in via this method, or you got an error message, first we suggest our customers to check the FTP connection via Filezilla and to make sure it works with a desktop FTP client. If you need any help feel free to write us.